Alyssa Milano is at it again. She’s displaying her ignorance. 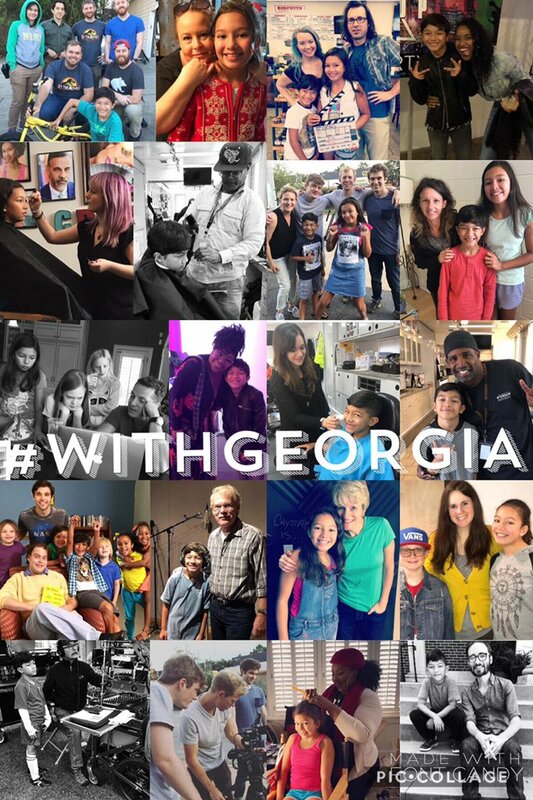 This time she’s calling for a boycott of Georgia from Hollywood because she (and others in the Hollywood bubble) believe the election of Brian Kemp was racist. Georgia is a favorite state to produce all types of TV shows (The Walking Dead and Ozark) and films (42 and Hunger Games). There are over 20 productions shooting in Georgia. Is the entertainment industry willing to support the economy of a totally corrupt state that suppresses democracy; where the winner isn’t the best choice for the people but the best schemer or crook? There are thousands of people who work in the film industry who live in Georgia. Milano, Whitford, and Ron Perlman would rather see the industry die because their candidate lost. There are a lot of minorities working in the industry. Yes, Hollywood. By all means punish the actors, shop owners, film crews and people of Georgia. Excellent idea when you don’t get your way. Let’s not have a vote, actors should coronate whatever royalty they choose to run the country. Let’s look at the facts and the charge of corruption. Brian Kemp, the Governor-Elect of Georgia beat Democrat Stacey Abrams by 54,723 votes. Sure enough, some Democrats have said the election was stolen and others, including Abrams, claimed there was voter suppression of minority voters. Also, there were nearly 10 days of early voting in weeks before November 6. There were long lines on election day. That’s hardly evidence of voter suppression. It’s a testimony to democracy. Despite what the opposition pens, minority participation is up 23 percent, registration amongst 17.5- and 18-year-olds has more than doubled, and we set turnout records twice during the 2016 election cycle. Seven million Georgians are now on our voter rolls – that’s one million more than when I took office [as Secretary of State] in 2010. You may recall that “during a rally with U.S. Senator Elizabeth Warren, Abrams declared that ‘undocumented’ residents of Georgia were part of the ‘Blue Wave’ that would carry her to victory.” The New Georgia Project, a left-wing voter registration organization, funded by “dark money” demanded “permanent voting rights for ‘non-citizens’ in Georgia.” Is this what Abrams and her fellow-Democrats mean by “voter suppression”? There was a shortage of voting machines. That’s because of a lawsuit that claimed the machines were hackable. As a result, the machines were not permitted to be used. The machines are set aside because of an order by U.S. District Judge Amy Totenberg last December that called for preservation of evidence in a lawsuit seeking to move Georgia from electronic voting machines to paper ballots. 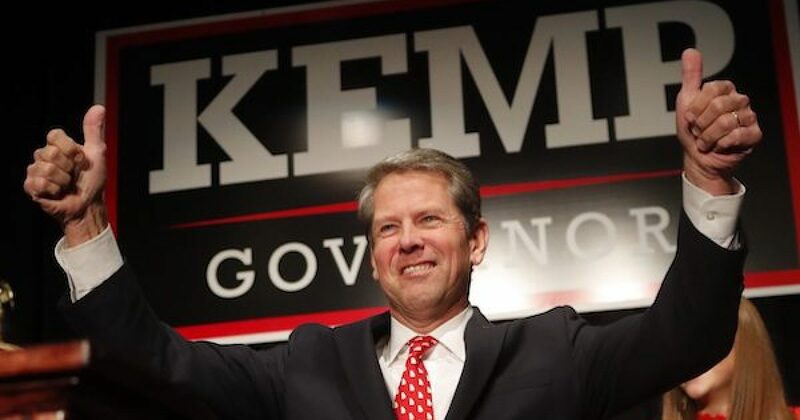 Some have claimed that Kemp closed some polling places in minority districts. To save money, some polling places were consolidated. This was done at the county level. ” One precinct facing closure has just 75 registered voters.” It’s not the job of the Secretary of State to consolidate polling places. What about the purging of voter rolls? Every state purges its voter rolls. Georgia’s been doing it for some time. People move. Inactive voters are also purged. An … analysis found the voters were removed under the state’s “use it or lose it” law, which starts a process for removing people from voter rolls if they fail to vote, respond to a notice or make contact with election officials over a three-year period. The “use it or lose it”law was passed by a Democratic legislature and signed by a Democratic governor. After that three-year span, those who don’t vote or make contact with authorities in two elections can be purged from the voter rolls under the Georgia law…. They need to remove people who are gone/dead/no longer involved…. Otherwise, you end up with more registered voters than eligible citizens and dead people voting. It’s the law in Georgia. It’s not Brian Kemp’s law, and it was in process before he became Secretary of State. Every indication is that Stacey Abrams lost fair-and-square in an election where everyone knew the rules beforehand, and they weren’t unreasonable. She’s nonetheless being hailed for not conceding, and her loss will always be taken as an indictment of Georgia rather than the verdict of voters. Suppression of minority votes? Not hardly.